The Emerald Green Mirage Mirrored Glass Plaque is a fully engravable award offering a wide range of uses. 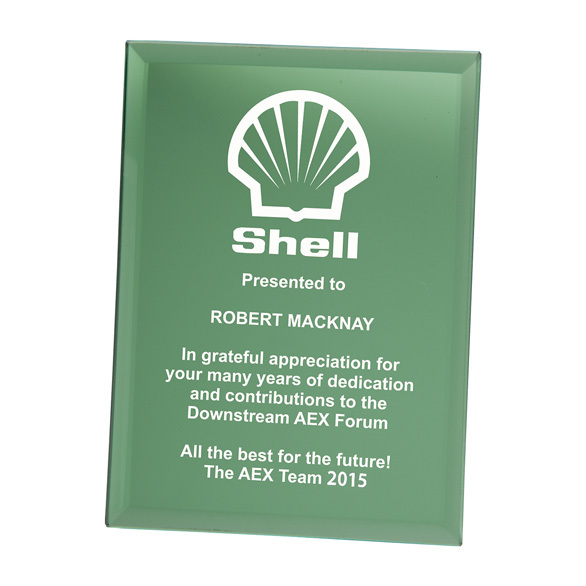 Made from a high grade 5mm thick emerald green glass, the award stands with the help of a photo frame style support. The polished surface of the plaque can be personalised with an engraved text message and logo. The Emerald Green Mirage Mirrored Glass Plaque can be purchased with or without personalised high quality engraving. 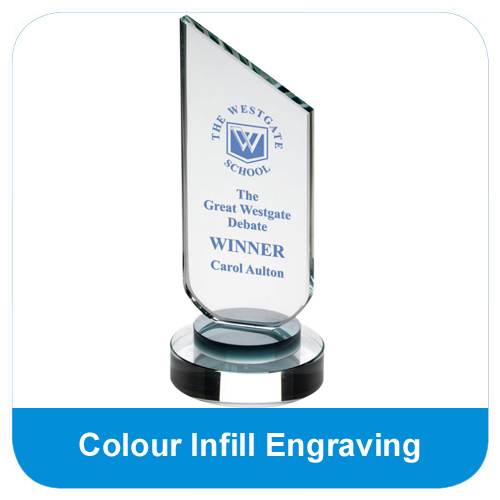 This award comes in 3 size options and is supported by a photo frame type up-stand. The Emerald Green Mirage Mirrored Glass Plaque is made from a polished 5mm thick glass and can be fully personalised with the use of text and logo engraving.